Disclosure: The information and prize pack have been provided by Immaculate Baking through Platefull Co-Op. I'd heard of Immaculate Baking before, but never had the experience baking with their products until now. I'm one of those people that loves to bake, and would like to do more from scratch baking, but just can't seem to find the time. Well, thanks to Immaculate Baking and their scratch baking mixes I can bake lots of treats for my family that are close to homemade. 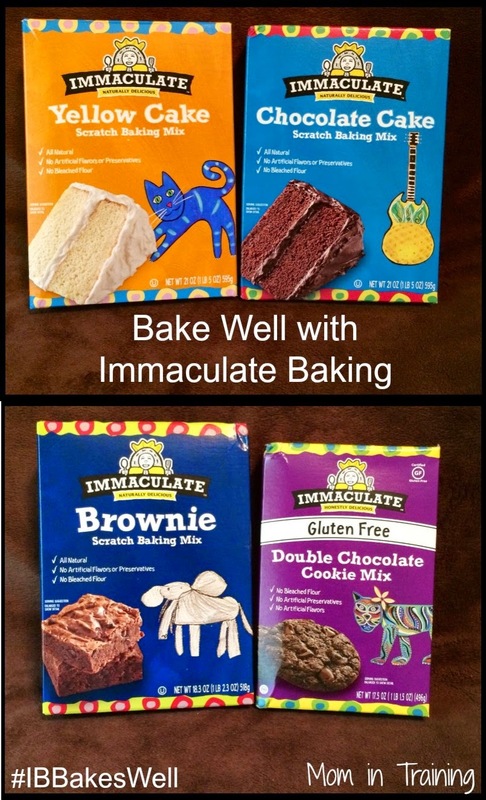 Immaculate Baking uses the same ingredients you would use if you were to bake cookies, cakes, and brownies from scratch. Immaculate Baking’s eight new dry baking mix items have 0g trans fat, and does not contain artificial preservatives or high fructose corn syrup. I decided to do a taste test with my family since I already had a package of another brand of brownies in my pantry just to see which they would pick. I wanted to find out if they could tell a difference between a popular name brand brownie mix and the Immaculate Baking scratch baking mix. I made up both pans of brownies while no one was home so there was no way they'd know ahead which was witch. 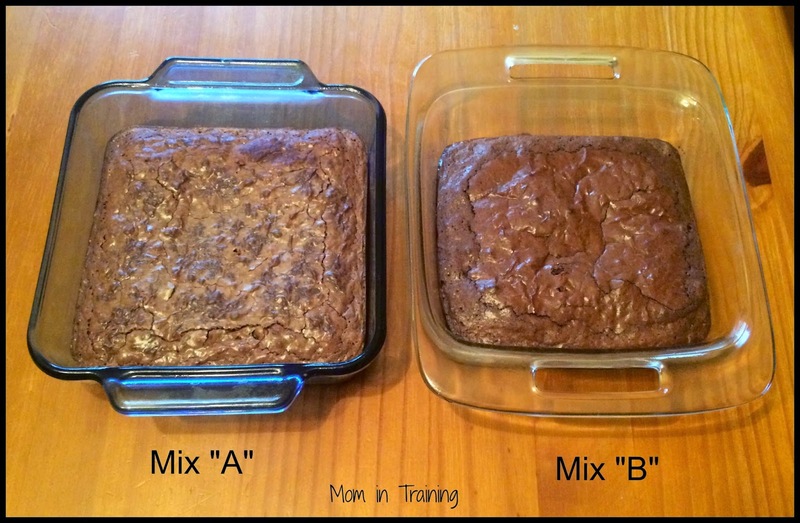 Upon baking the brownies there really wasn't much difference in the appearance between the two pans. It worked out perfect because when looking at them they had no idea which one was what brand. So I proceeded to cut up the brownies and give each of them a small piece of each kind. 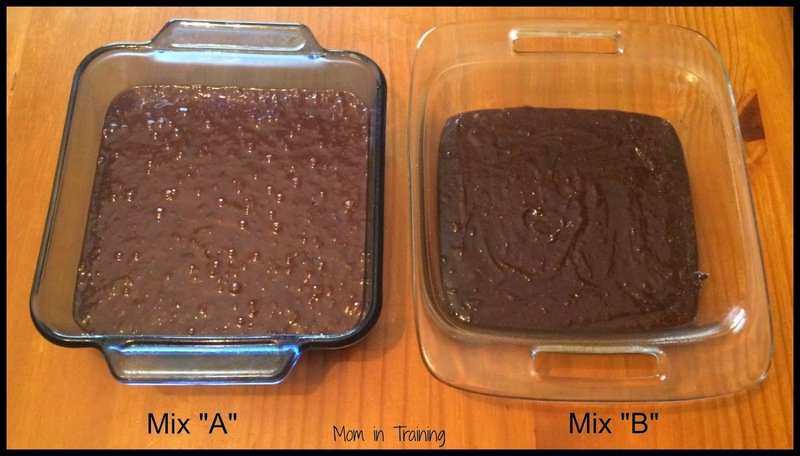 And after they had tried both everyone agreed that the brownie mix "A" was better. They said it tasted more like a brownie, and that the other one kind of tasted like chocolate cake more than a brownie. And my husband even went as far as comparing it to brownies his mom made when he lived at home. Now I can't wait to bake some more of the Immaculate products to see just how great they turn out too!